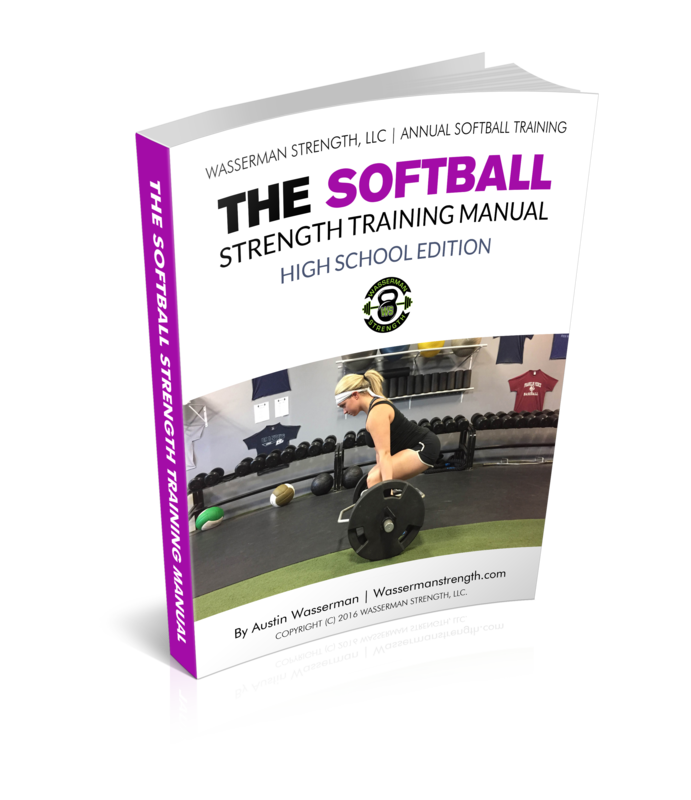 This 80+ Page, 4-Phase PDF (digital product) with a full Exercise Video Library is your ANNUAL guide to SOFTBALL Strength Training! This Program can be used for high school players or middle school athletes transitioning into the high school athlete! A great resource for high school strength coaches, college strength coaches or travel organizations/programs looking to implement a training routine for their teams and players! It will help you stay Consistent and Accountable throughout the year, creating quality movement patterns while enhancing strength, coordination and power! Each phase requires a different component of training such as Exercise Selection, Motor Unit Recruitment & Production, Power or Rate of Force Production, Intensity, Volume and Energy System Adaptations. All of these components are important in an Annual Training Program, but WHEN and HOW to implement these components can sometimes be difficult. This book will break down those components in a functional, efficient and practical way! Online support is available if needed. Please email austin@wassermanstrength.com with any questions, concerns or exercise modifications needed.